Amazon Greenlights a Full Season of The Tick! Amazon Studios has announced today that they’ve officially ordered a full season for The Tick which will premiere on Amazon Prime in 2017. You can read about the other pilots picked up for the 2017 season by clicking here. In a world where superheroes have been real for decades, the new The Tick series follows an underdog accountant with zero powers who comes to realize his city is owned by a global super villain long-thought dead. As he struggles to uncover this conspiracy, he falls in league with a strange blue superhero. 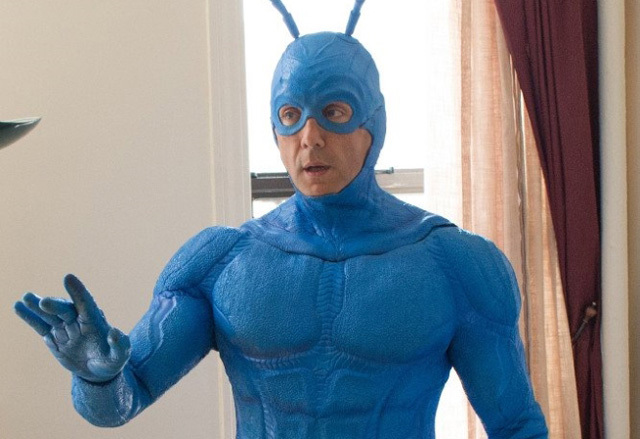 Guardians of the Galaxy‘s Peter Serafinowicz stars as Ben Edlund‘s great big blue bug of justice along with Griffin Newman (Vinyl), Jackie Earle Haley (Watchmen), Valorie Curry (House of Lies), Yara Martinez (Jane the Virgin) and Brendan Hines (Scorpion). The Tick is executive produced by Ben Edlund (Supernatural), Barry Josephson (Bones) and Barry Sonnenfeld (A Series of Unfortunate Events), directed by Wally Pfister (The Dark Knight), and written by Edlund. The Tick is a co-production with Sony Pictures Television. The Tick was originally created by Edlund in 1986 as a mascot for New England Comics. Edlund then brought the nigh-invulnerable justice seeker to life in The Tick’s own book two years later. In 1994, the first The Tick series came to television as an animated half-hour show which ran for two seasons and 36 episodes. All but two of those episodes have been released on DVD. However, citing “creative considerations,” “The Tick vs. The Mole Men” and “Alone Together” were omitted from their respective DVD sets. 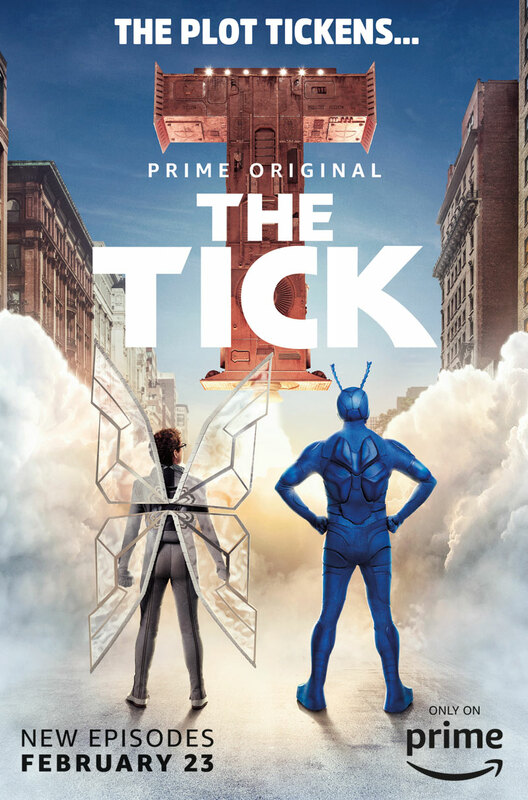 In 2001, FOX debuted the live-action The Tick series with a pilot episode directed by Barry Sonnenfeld. Despite being cancelled after only nine episodes, The Tick has remained a cult hit.